Though announced in the Budget presented in 2017, a fee levied on belated filing of income tax return (ITR) came into effect from April 1, 2018 and was applicable for returns filed in 2018 for FY2017-18 onwards. The Income Tax Act was amended by inserting a new section 234F. According to this section, an assessee would be liable to pay a maximum late filing fee of Rs 10,000 if his/her ITR is filed after the expiry of the due date. However, as a relief to small taxpayers (whose income does not exceed Rs 5 lakh in a financial year) the late filing fee for them was pegged at Rs 1,000. Providing much relief to NPS (National Pension System) investors, the government has announced 100 per cent tax-exemption for the 60 per cent withdrawal which is allowed from the corpus at the time of maturity. However, the remaining 40 per cent of the corpus will still have to be mandatorily used to buy an annuity plan. Earlier, of the total 60 percent of the corpus allowed to be withdrawn at maturity, only 40 percent was tax-exempt and the remaining 20 percent was taxable in the hands of the investor as per the tax slabs applicable to him. Apart from making withdrawals from NPS at the time of maturity tax-exempt, the government has also offered tax-saving benefits on Tier-II account of NPS for only central government employees. The tax-saving benefit is available under the overall limit of Rs 1.5 lakh of Section 80C of the Income Tax Act and comes with a lock-in period of three years. In a major relief to senior citizens, the government has inserted a new section 80TTB in the Income Tax Act. This deduction is available at the time of filing ITR. However, along with this, the government has amended the TDS deduction rules as per which no TDS is to be deducted by a bank if the interest paid to a senior citizen starting with the current financial year does not exceed Rs 50,000. Another major tax change that was announced in the Budget this year is the introduction of standard deduction in lieu of medical reimbursement and transport allowance. The latter two components can be easily seen in our salary slips in the previous FYs. However, starting from FY 2018-19, they will no longer be mentioned in the salary slips because of change in tax laws. The standard deduction of Rs 40,000 introduced in lieu of these two items can be claimed by taxpayers from their salary income at the time of filing ITR. Another tax googly which was thrown during the Budget 2018 was the introduction of long-term capital gains (LTCG) tax on the sale of equity shares and equity oriented mutual funds. The tax has been re-introduced from FY 2018-19 after it was abolished in 2004. Gains up to Rs 1 lakh will be tax-exempt in a single fiscal year. Gains over and above Rs 1 lakh will be taxed at the rate of 10 percent arising from the sale of equity shares and equity oriented mutual funds after holding it for a year. However, as a relief to investors already holding equity investments, the unrealised gains made till January 31, 2018 were grandfathered and will remain tax-exempt in future. Individuals looking to save tax on LTCG by investing in 54EC bonds will have to invest in these bonds for the tenure of five years instead of three years earlier with effect from April 1, 2018. In addition to that, one can now save tax on capital gains under this section only if the gains have arisen from the sale of land, building or both. The Reserve Bank of India has tightened the rules by making PAN mandatory for sending money abroad under the Liberalised Remittance Scheme (LRS). The change was announced this year in the bi-monthly monetary policy statement held in June 2018. Earlier, PAN was not mandatorily required for current account transactions of up to $25,000. The scheme is used by resident Indians to send money abroad for their children's studies and also to invest in foreign stocks and property. With effect from April 1, 2018, if a person files ITR, he/she will have time till the end of financial year (i.e., March 31) to correct his/her mistake and file the ITR. Thus, if a return is filed in AY 2018-19, then a taxpayer will have time till March 31, 2019 to correct his/her mistake. 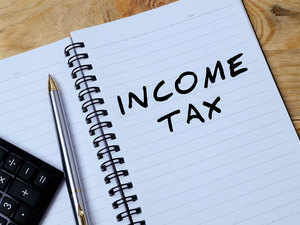 Earlier income tax laws allowed a taxpayer to revise his/her return up till two years from the end of the financial year for which the return is filed which has been reduced now. Budget 2018 also introduced taxation of dividend received from equity mutual funds. Dividend distribution tax (DDT) at the rate of 10 per cent has been introduced from April 1, 2018 which will be levied on dividends payments made by the mutual fund houses. It will be deducted by the MFs at the time of making the payments.